If you are planning an event and want to hire a comedian to fit into the schedule, we can help. 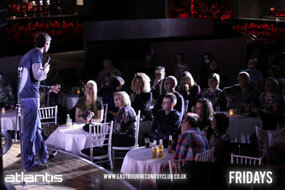 Stand Up Comedy Nights are experienced in putting together excellent comedy shows and selecting the right comedians for events - we've worked with hundreds of comedians over the years, from complete newbies, right up to television celebrities. You can hire a comedian or a whole comedy show with us. We'll advise you on how to make the comedy element of your evening a success, by helping you avoid many of the common mistakes people can make when booking comedy. We've helped people hire a comedian for every kind of event - Weddings, Corporate Events, Community Centres, Pubs, Hotels, Charity Shows, Army events and many more! Whether you need to hire a comedian that is suitable for the whole family (including audiences where children are present) or somebody a bit brasher to take control of a rowdy room (or anything in-between) - we have acts that will suit the mood of your event. We're trusted providers of Comedy for these venues on a regular basis - meaning we get to work with lots of acts all year round and help you choose the best comedians for your event. Before you book you will be provided with information about the comedian as well as a video clip to help you make sure you hire a comedian that is right for your event. Simply make an enquiry below - with no obligation to make a booking - and we can start to make your idea a reality. Whether you know exactly what you want or if you're not sure, drop us a line and we can help. You may find it helpful to look at information about the comedians or details of our packages first. Below is a form with all the information we need to make sure we get this event set up perfectly for you. 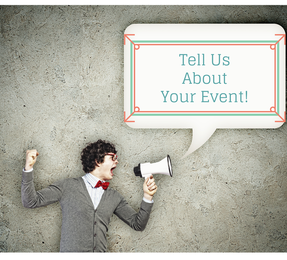 We look forward to hearing from you and helping you create the perfect event!